Abandoned by his family, Enoch Bryant now lives in a rundown orphanage with other teenagers just like him. He loves his friends, even if the teachers are terrified of them. They're members of the rising plague generation. Each bearing their own extreme genetic mutation. The people in the nearby town hate Enoch, but he doesn't know why. He's never harmed anyone. Works hard and doesn't make trouble. He believes one day he'll be a respected man. But hatred dies hard. 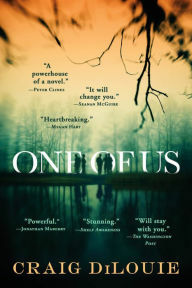 The tension between Enoch's world and those of the "normal" townspeople is ready to burst. And when a body is found, it may be the spark that ignites a horrifying revolution. By age thirteen, she has undergone countless surgeries, transfusions, and shots so that her older sister, Kate, can somehow fight the leukemia that has plagued her since childhood. The product of preimplantation genetic diagnosis, Anna was conceived as a bone marrow match for Kate - a life and a role that she has never challenged - until now. Like most teenagers, Anna is beginning to question who she truly is. 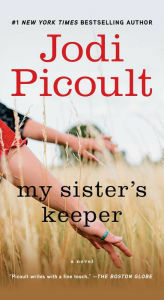 But unlike most teenagers, she has always been defined in terms of her sister - and so Anna makes a decision that for most would be unthinkable, a decision that will tear her family apart and have perhaps fatal consequences for the sister she loves. Even the closest families have secrets - it's when they are shared that things begin to change. 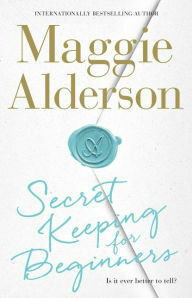 The lives of three very different sisters collide in this witty new novel from bestselling author Maggie Alderson. Recently divorced Rachel is juggling her new dream job in interior design PR with the demands of two young daughters. She's full of creative ideas but - even with a colourful childminder or two - some days she can't make it into the office in time and in matching shoes. Her life is balanced more precariously than she cares to admit. Tessa, a talented muralist, is feeling flat. Her kids are growing up and she's feeling upstaged by her husband's new-found celebrity as the host of a reality TV fireplace restoration show. But everything turns on its head when she gets a surprise from her past. 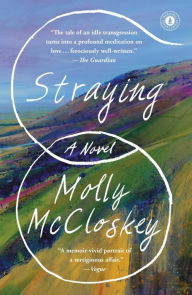 In this "humane and lucid novel" (The New York Times), Alice, a young American, arrives in the West of Ireland with no plans and no strong attachments. She meets and falls in love with an Irishman, quickly marries him, and settles down in a place whose customs are unfamiliar. And then, in the course of a single hot summer, she embarks on an affair that breaks her marriage and sets her life on a new course. Years later, in the immediate aftermath of her beloved mother's death, Alice, having worked in war zones around the world, finds herself back in Ireland, contemplating the forces that led her to put down roots and then tear them up again.